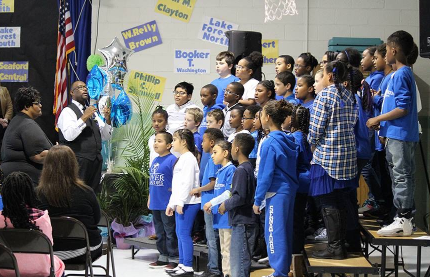 Our chorus, directed by Mr. Freeman, provides an opportunity for students to learn and grow musically. Students shared their talents with parents, at the Music Festival, Black History Program, and BTW Historical Dedication. We believe that music is an integral part of the overall education of each student.